Dmitry Bivol knew where he wanted to go in his boxing career — straight to the top of one of the HBO cards he used to watch replays of while growing up in Russia. Now Bivol is a light heavyweight champion — and on Saturday night he’ll finally be an HBO headliner. He meets former champion Jean Pascal in Atlantic City as the featured bout of HBO’s World Championship Boxing series. The fight is big for Bivol, but the occasion for boxing fans is bittersweet. After 45 years, HBO is pulling the plug on its premium boxing coverage with its last prime-time boxing card. 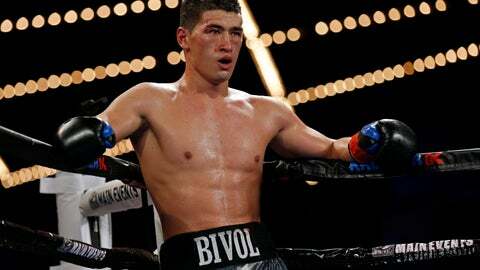 First, though, Bivol gets his shot to shine. HBO — which began in the boxing business with George Foreman’s knockout of Joe Frazier in 1973 — says it is leaving boxing because research shows the sport doesn’t increase subscriptions to the premium network. Boxing fans need not worry, though, because plenty of others are entering the mix. There’s a seismic shift in boxing, which for years relied on HBO and Showtime for top fights, and pay-per-view for the biggest fights. HBO may be leaving, but other networks and platforms are rushing to fill the gap — and then some. That includes longtime rival Showtime, which is looking for ways to expand its boxing offerings. Indeed, the demand for live programming is prompting a lot of broadcasters to take a look at boxing once again. And they’re making plans to show fights on everything from free over-the-air television to subscription streaming apps. Superstar middleweight Canelo Alvarez, who had been a big attraction for HBO, signed a deal last month to fight exclusively on the streaming service DAZN through 2023. Though all details weren’t revealed, the contract is believed to be an 11-fight deal worth a minimum of $365 million for Alvarez, whose last fight with Gennady Golovkin was televised on HBO pay-per-view. Instead of paying $84.95 for one pay-per-view fight, fans can buy DAZN for a monthly fee of $9.99. The service has also locked up Anthony Joshua, the big British heavyweight champion, along with a number of other fighters from Golden Boy Promotions and Joshua’s British promoter, Matchroom Sport. SHOWTIME: The premium cable network was Floyd Mayweather Jr.’s television partner for the biggest grossing fights of his career and, unlike HBO, is aggressively pursuing top fights. One of those takes place Dec. 1 when heavyweight titlist Deontay Wilder defends his crown against former champion Tyson Fury, while Manny Pacquiao returns in January to fight Adrien Broner. Both will be pay-per-view events. ESPN: The biggest sports network is so bullish on boxing it tore up a four-year deal with Top Rank signed last year and replaced it with a new seven-year pact. ESPN agreed to televise 54 live boxing events a year in addition to other boxing-related programming. Some of the fights will be on ESPN, building on the success of its Saturday night fight series, while others will be on the ESPN streaming app that costs $4.99 a month. FOX: Fox agreed last month to a four-year multi-platform deal with Premier Boxing Champions that will feature 10 “marquee fight nights” annually in prime time on the Fox network, with 12 more cards to air on Fox Sports 1 and Fox Deportes each year. The network recently announced it will also hold its first boxing pay-per-view, with Mikey Garcia meeting Errol Spence Jr. next March 16 from AT&T Stadium in Texas. DAZN: The streaming service, which launched in the U.S. in September, inked its first deal with Matchroom Sport, which promotes Joshua and other top British fighters. It upped the ante with the Alvarez signing, with his first fight Dec. 15 against Rocky Fielding. DAZN will also be televising a weeknight baseball cut-in show under a recently announced $100 million a year deal with Major League Baseball. NBC: The network is expected to announce a deal with promoter Main Events to broadcast fights both on the main network and the NBC sports network. The explosion of new deals means boxing will be available in more places and more ways than ever before. Some of it will be on free TV, though the new streaming models will cost monthly fees and some of the biggest fights will still be on pay-per-view. Boxing fans can look forward to many more hours of their favorite sport on TV, though some of the bigger fights may be more difficult to make because fighters are tied to different networks or platforms. There’s also the risk that there will be so much televised boxing that the fights will look like filler material, though Espinoza believes there is room for everyone at the table. “I think it’s good for the health of the sport to have multiple different networks and platforms to be on,” Espinoza said. So far the fighters themselves seem to agree with that. Bivol certainly does, as he looks forward to the bidding for his talents after he headlines the final HBO card.